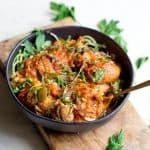 This skillet side dish makes such a perfect addition to your holiday table! 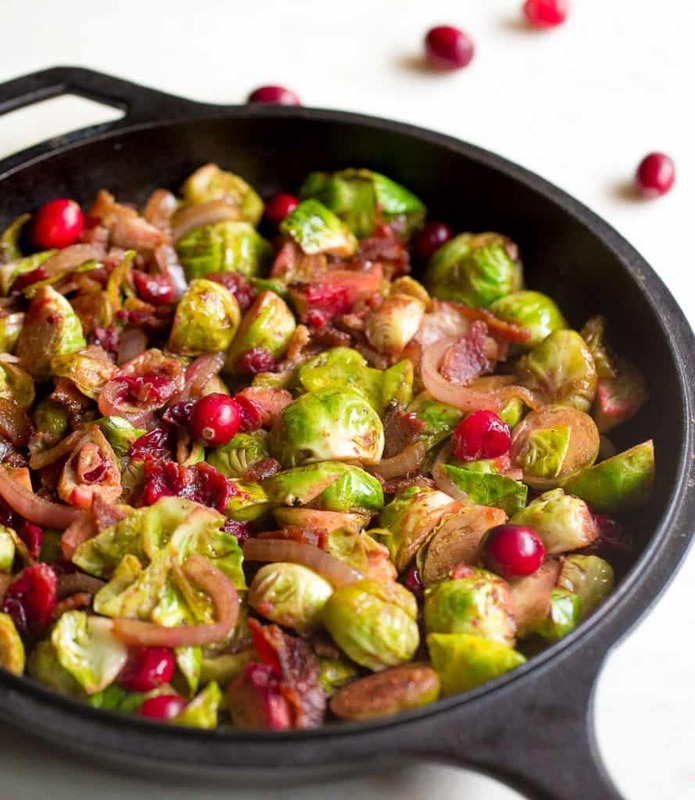 Brussels sprouts and cranberries are sautéed together and tossed with crispy bacon and a delicious maple balsamic sauce. Such a crowd pleaser! Let’s just start with the obvious: You guys are going to love this one! 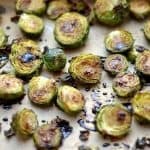 Some of you who visit my blog often know that my entire family (including the dog) are obsessed with brussels sprouts. We eat them pretty much every day! In planning my Thanksgiving menu, I knew I wanted to include them on our table with a festive flair. By festive, I mean, I really really wanted to include fresh cranberries. So I set to work……And it’s a masterpiece. 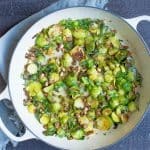 In my cookbook, I have a warm Brussels Sprouts salad that is probably my favorite recipe in the entire book. While it’s downright delicious and great for any occasion, I wanted to do something similar, but more festive for the holidays. Also one that I can share here on the blog! I included some of the same elements: brussels, red onion, and bacon, but did some different things with the sauce, and added the cranberries. 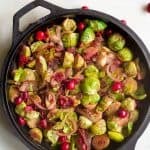 I love the way the tart cranberries pair with the crispy bacon and brussels, and also make for a tasty compliment to balsamic and maple! 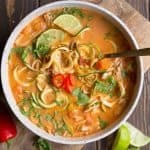 This is not a recipe to make ahead, but one that should be served warm and shortly after cooking. It’s well worth it you guys! 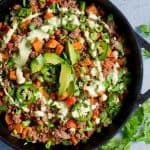 Begin by heating a large skillet to medium heat. Add the bacon, and cook for approximately 4-5 minutes per side (or until desired crispiness). Set aside, leave the bacon fat in the pan. Toss in the red onion, saute for 3-4 minutes or until fragrant and lightly browned. Set aside with bacon. 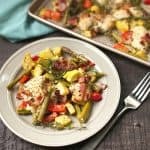 Keep the skillet on the stove and heat on. 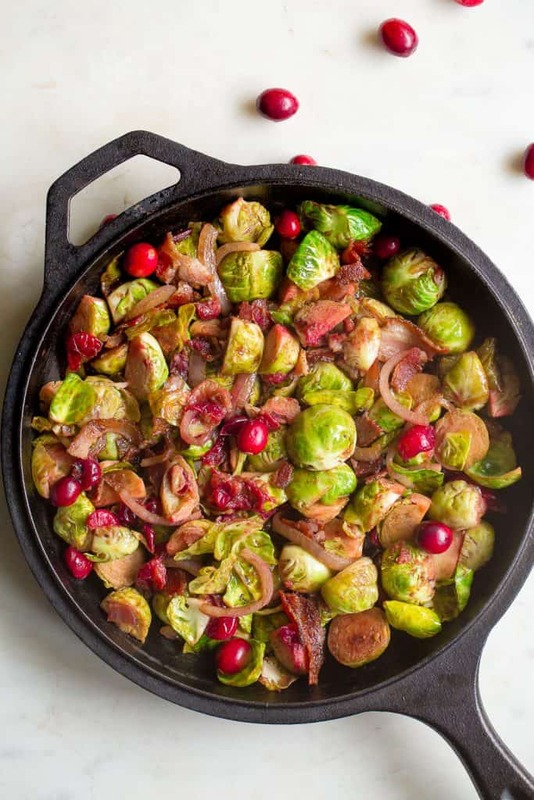 Now add in 1-2 tbsp of oil (depending on how much you have left over from the bacon), and toss in Brussels sprouts and cranberries. Saute, stirring occasionally, for 5-6 minutes, or until the Brussels are browned and cranberries begin to soften. Pour in water and increase the temperature to high to bring to a light boil, then reduce to medium heat. Let the Brussels and cranberries continue to cook so the cranberries begin to pop, and the water is almost completely gone (about 3-4 minutes). Remove from heat. 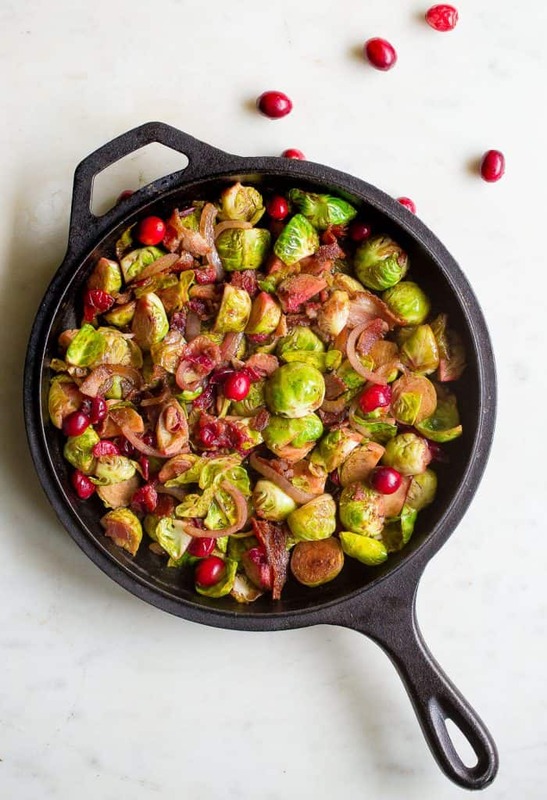 Pour Brussels and cranberries into a serving dish, crumble the bacon and add to the dish along with the red onion. 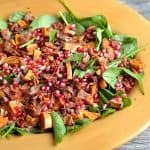 Toss in the balsamic vinegar and maple syrup to coat. Sprinkle with salt and serve warm(adding any additional salt to taste).